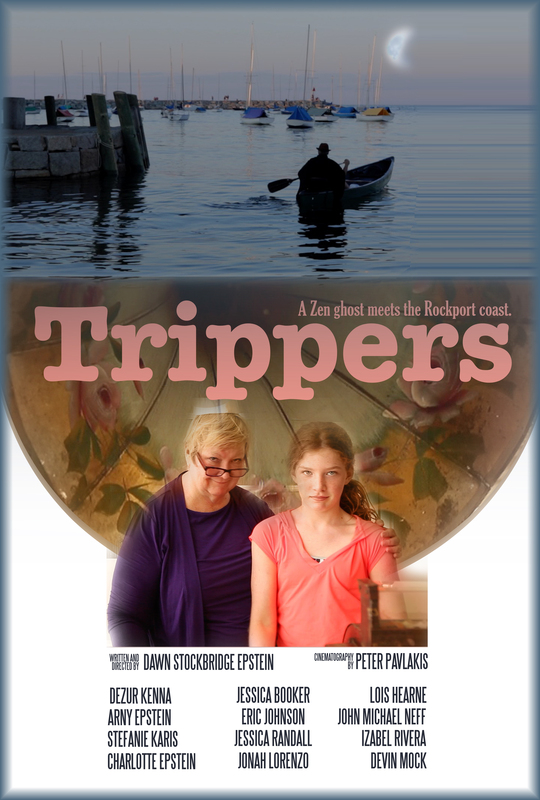 I’ve missed you guys, but as most of you know, I’ve been a bit busy putting these ideas to work in my first feature-length film: Trippers. You can read more about it if you click that link. In it, a young widow fights with a quirky consignment shopkeeper in an attempt to save her childhood home from foreclosure. The film is an exploration of that moment between deep, almost unbearable loss and the first tiny movements toward healing. The story itself was an outgrowth of a conversation on Facebook. 45 people contributed stories about objects or experiences that cause a sudden awareness of loss. I initially planned to tell those stories in documentary style but found that the direct emotional confrontation with grief was too manipulative — and felt we would quickly hit compassion fatigue before we could tell all the stories. So, instead, I built the story leaning heavily on Japanese Buddhist ideas of attachment and loss as expressed in Noh drama and reimagined those 45 stories in terms of their objects. The cinematography was a collaboration with Peter Pavlakis, and throughout the film we made the choice to let those objects, places, and senses tell the story — rather than leaving it exclusively to the dialog. In this way, the film explores the power of “inner wits” to convey meanings deeper than words permit. The film runs an hour, features 26 roles (including two dogs), and I produced it for under $5K. The largely-female ensemble cast of characters covers the decades from 7 to 70 and is suitable for all audiences though it does deal with adult issues of loss and grief. The generosity of the actors and crew transcended that non-existent budget and the concomitant technical limitations to produce an uplifting story we feel does healing justice to the inspirational moments we were entrusted with. I’ve submitted it to a few festivals, and will be waiting to hear from them before doing any digital distribution myself. But if you can’t wait for it to come to a theater near you, and would like to consider it for your festival or write a blurb, I’d be happy to send you the password to our online screener. 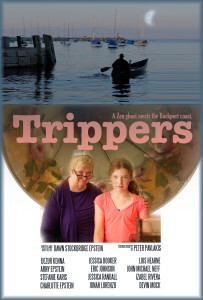 Those of you who have seen it and would like to engage in a conversation about the film are welcome to post your remarks or questions to this page — or on the Trippers movie site (link above). So, with this project in the can I’m now turning my attention back to still photography and this blog while I refine my next script and work on an ethnographic film. This weekend, I’m planning to challenge the inner wit of “fantasy”. I’m going hunting for some magic. In particular, I’m looking for dualities: photographs that tell two stories in one image. Thank you for your support through this silent period! I look forward to hearing from you, and seeing some of your work!